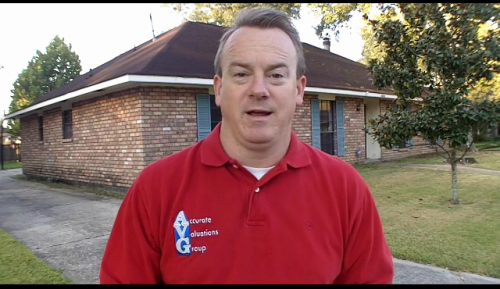 Why do Baton Rouge Home Appraisers take so long to finish the report? My Appraiser Friend and Peer, Ryan Lundquist, answers this question for the Sacramento CA Housing Market. And, Ryan offers detailed explanations of why home appraisals can take several days to deliver. 1.) Remember that yours is not the only assignment that Appraiser has to work on! So many times, I a home one day and have the owner calling the next day or 2 days later to find out the value or if report is complete. It doesn’t work that way. Most Appraisers will see several homes on 1 day and then spend the next 2-3 days in office completing those reports. And then they go out again on another batch of orders. Did you know that Home Appraisers have to keep their work file and are “on the hook” so to speak for 8 years for a value they derive today. State Boards require Appraisers to maintain their workfile for 5 years plus 3 more years for the Federal Regulators. A workfile is a physical folder or a digital workfile containing your photos taken, why you used the comps you did, any notes you made that would expain your reasoning, your sketch of home you measured, as well as the report itself. Yes, Liability is absolutely a concern for the Appraiser to dot every “i” and cross every “t”. 3.) Complex Assignments Take More Time. Not All Appraisals are of cookie cutter type homes. In fact, right now I’m appraising a home on 2 lots in the Garden District with 2 adjoining apartments. I’m also appraising a somewhat dated home in Sherwood Forest with slab granite counters in Kitchen, with a large addition, large workshop, newer detached spa room. I’m also appraising a $240,000 home with $60,000 spent just in the yard on several over improvements. Sometimes assignments can be so complex that Appraisers have dreams about the assignment and/or it’s difficult to go to sleep without being able to shutdown our minds thinking about a value solution. 4.) AVOID THOSE “FAST VALUE” APPRAISERS! AND, You’ll Pay The Same Fee For The Green-Behind The Ears Appraiser or the Veteran with 20+ Years Of Experience. It’s just like hiring a REALTOR to sell your home; you’ll pay the same commission to have your home sold by a rookie as with a 30 year seasoned veteran Agent. 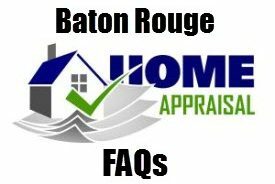 In Louisiana, it’s been stated by our LA State Board of Appraisers that those Appraisers state certified in the past 3 years lack experience needed to properly judge value. I was in that meeting and heard that said, which was why a Peer Review Committee of volunteers (experience Appraisers) was being formed. CHOOSE THE MOST EXPERIENCED APPRAISER YOU CAN FIND AND DON’T SETTLE FOR LESS. Ryan warns, “Be leery of “fast and cheap” appraisal marketing. If you have a delicate situation and you do have the luxury of time on your side, find an appraiser who will take more than 24 hours to appraise your property.” And, I agree. If the home is located in a cookie cutter DR Horton subdivision, then the value won’t be near as challenging and perhaps a “Fast Value” Appraiser will do. However, Hire the Appraiser with the most experience you can find for the best result. Remember, a home purchase IS THE MOST EXPENSIVE INVESTMENT most make in their lifetimes. 5.) MOST IMPORTANTLY IS THE TIME DELAY WHEN BANKS ORDER APPRAISALS VIA AN AMC OR APPRAISAL MANAGEMENT COMPANY AS RYAN EXPLAINS BELOW! In other words, if you make loan application at your Bank on a Monday, the Appraisal may not be ordered until Wednesday or even Friday with the Appraisal Management Company. The AMC may not receive the report back from the Appraiser they engage for 5 to 10 days later as the report has to be reviewed. Once the Appraiser submits the report to AMC, it might be in review for 1 to 3 days causing further delay. So, after the Appraiser leaves your home, it may take 1 to 1.5 weeks for your lender to receive the report. 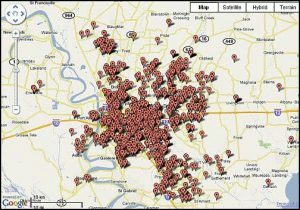 Visit Ryan’s Article at the red sacramentoappraisalblog.com link above to read his entire explanation. Which Comes First the REATLOR® or the Lender? Baton Rouge Homeowner Spends $60K in yard, WHAT WERE THEY THINKING?